『CRAZYBOY presents NEOTOKYO ～THE PRIVATE PARTY 2018～』 After Party開催決定!! 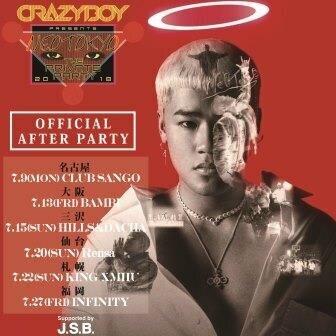 CRAZYBOY初となる単独公演『CRAZYBOY presents NEOTOKYO ～THE PRIVATE PARTY 2018～』のOfficial After Partyの開催が決定しました! !